Betaworks is famous for being an technology incubator which is behind media products such as Bit.ly, Digg, Instapaper and Chartbeat. Which is why it came as a bit of a surprise when they released Dots, an iPhone game that crossed 1 million downloads in the first week alone, and is now the third most popular free app in the App Store, going to the top position in 8 countries and within the top 5 in another 15 countries. 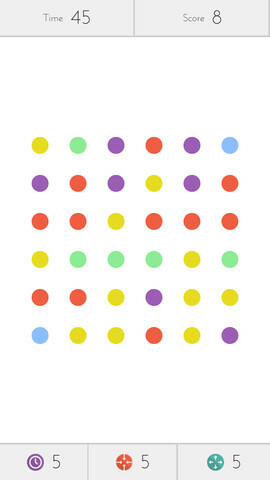 Dots’ strength is in its clean design and simplicity, making full use of the minimalism of Apple’s hardware and software . 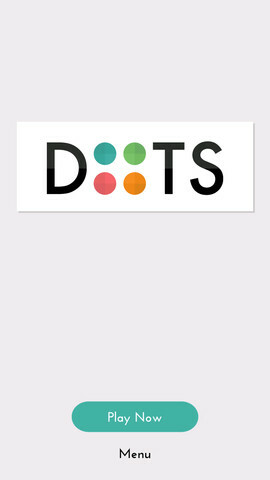 A modern take on the classic connect-the-dots games everyone played as a child, Dots is aesthetically pleasing and nuanced with gameplay that is extremely addictive. 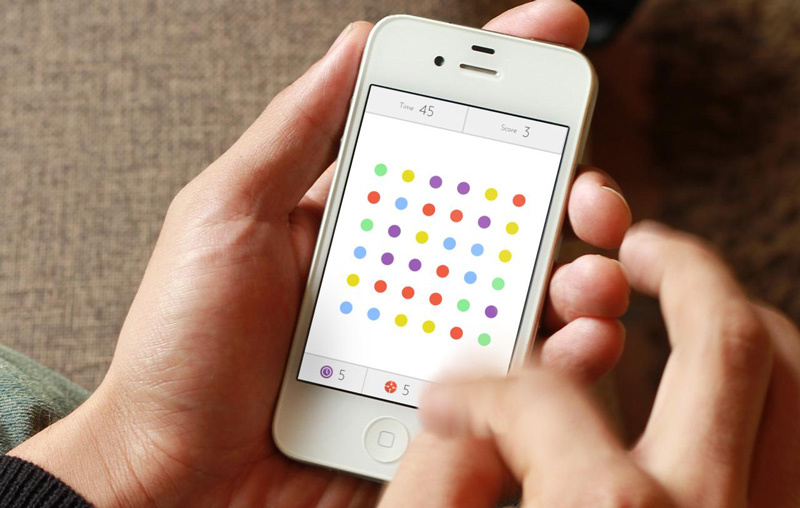 The idea is simple: you are presented with a screen filled with 36 dots in different colours. You connect all the dots you can find in the same colour in a straight line to score points, all in the space of 60 seconds. The more dots you can join up, the more points you get. Being able to form a square removes all dots in that colour from the screen. O fcourse there are power-ups which stop time or make a dot disappear off the screen that you can earn by either playing the game and accumulating units of the in-game currency, also called dots, or buying them in-app. The app is also highly reliant on the social aspect of things, which is one of the reasons behind its immense popularity. According to Paul Murphy, co-founder of Betaworks, “The app is heavily, heavily supported by the social mechanics in the game.” You can share your scores with your friends on Twitter and Facebook, and invite them to play along as well. Commenting on the game, Murphy remarked, “it’s hard to articulate what makes something fun, but we spent a lot of time and care crafting a well designed, and hopefully delightful experience that unfolds as you play.This also reflects the background of the founder – Patrick Moberg. Patrick is a truly talented designer, illustrator, developer — you’ll see his personality and talent reflected as you play the game and win trophies.” Betaworks is planning to use Dots to gather information about user engagement to help develop their other media products as well. Murphy commented that Dots was proving valuable in providing information about how to keep an user interested and what made the experience enjoyable for them. This knowledge would be applied to their other products to develop them further. “Hopefully it will bring a different strength to the Betaworks products”, he said. An iPad port of the game is currently in the works, as well as increased social integration in the iPhone version, including one-on-one gameplay.